Home Radio Heavy Muscle Radio CALUM VON MOGER: ANOTHER INJURY? 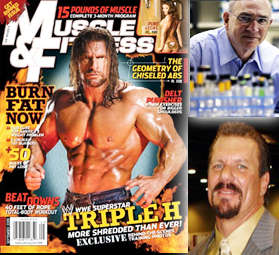 Heavy Muscle Radio: (08/10/09): TRIPLE H, Dr. Don Catlin, Ed Pariso! WWE Superstar TRIPLE H joins Dave Palumbo and John Romano to update us on his career, talks about his photoshoot and cover shot with Muscle & Fitness, and The Game gives us his picks for the 2009 Mr. Olympia! Dr. Don Catlin knows a thing or two about Designer Steroids, having been the Director of the UCLA Olympic Analytical Laboratory and catching a few dopers. Will he be the one to create the world's first reliable Growth Hormone Test? The Europa Super Show is coming up this August 14th-15th in Dallas, Texas. Show Promoter Ed Pariso joins Heavy Muscle Radio to fill us in on all of the great events he has planned for this weekend! Westside Barbell's Louie Simmons makes his Heavy Muscle Radio debut. 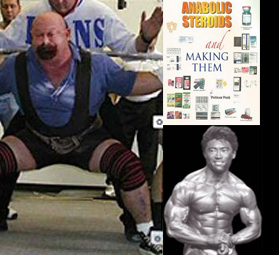 Find out why Louie is considered an icon and pioneer in the Powerlifting World! Tim Gardner calls in to update us on the upcoming PBW Tampa Pro taking place this coming Friday and Saturday August 7th and 8th. Also, you won't want to miss our interview with Professor Frank-the author of the book, "How to Make Your Own Steroids". Heavy Muscle Radio: (07/27/09) Grigori Atoyan, Daryl Gee, Big Sean Allan! Also, don't miss the special surprise guest appearance by the one-and-only BSA-- Big Sean Allan! Find out what new revelation he's made about Dave's ketogenic diet!